A usable, high-conversion website. It’s the goal of any Internet marketing campaign, but how do we do it? While we all strive for a better converting website, we may find ourselves confused by all the different points-of-views of graphic designers basing answers on so-called design trends. Worse yet, our graphic designer may value a pretty website over a functional website. 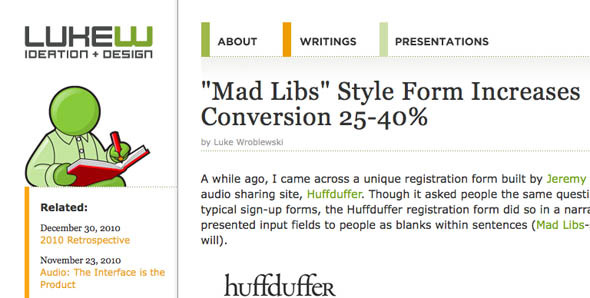 Summary: This article is a thorough write-up & images of what user’s look at on a website. 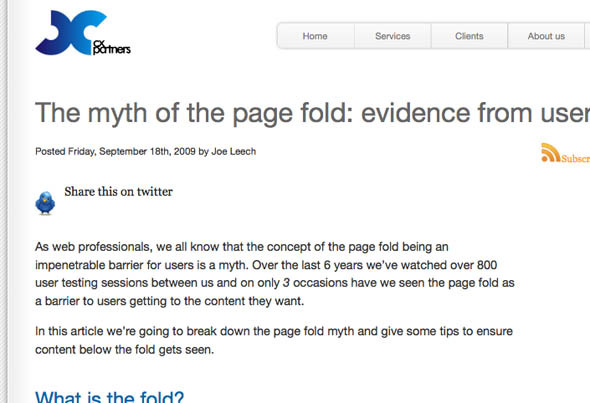 Most importantly, they conclude that when the site is designed correctly, the content below the “fold” of your website still has a chance of being seen. Summary: Input your website’s address and see what it looks like to the majority of users. 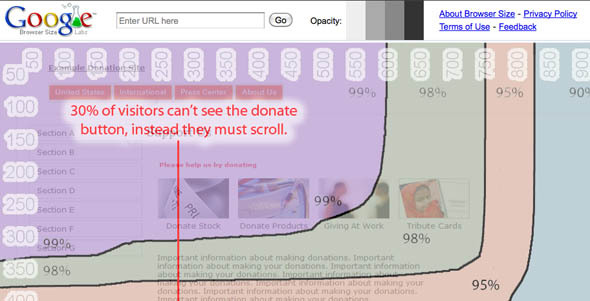 But I would recommend those with centered website designs to shrink your browser to it’s smallest size without a horizontal scroll bar. Summary: By changing only one button, a company saw an increase of $300 million in sales in one year. 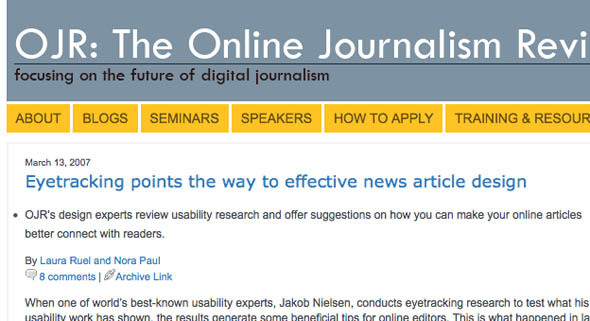 Summary: The long-running authority in usability, Jakob Nielsen conducted a study on what users looked at on websites. Summary: My favorite article of this list. They describe how changing the styling of an article can increase the chances of it being read to the bottom. 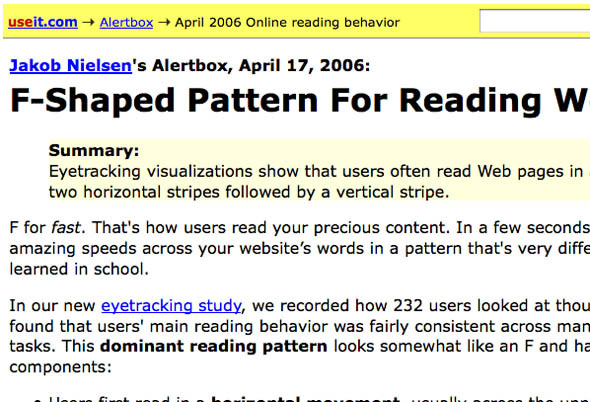 Summary: A great list of usability findings. Read it, trust me you’ll learn something. 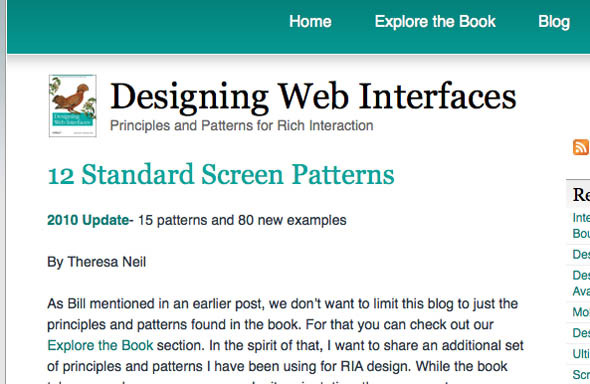 Summary: A huge collection of patterns to use when creating a highly usable framework for your design. Summary: An interesting take on form design. Instead of the usual table form, they present a more functional method for designing your next form. 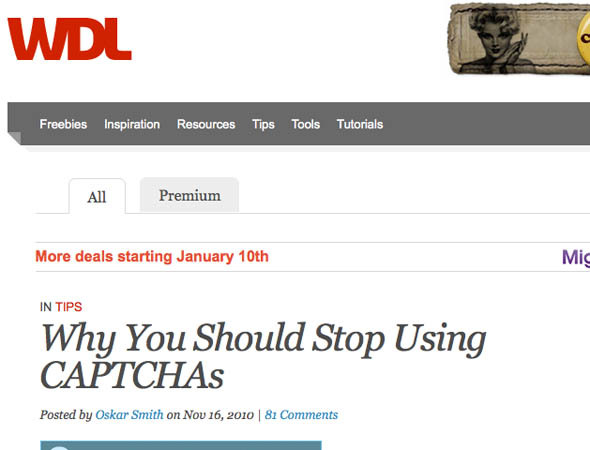 Summary: The title says it all: Please stop using CAPTCHA’s! The article gives examples of alternatives to use instead of the annoying letter guessing game. Summary: Once you have a strong design (or couple designs), you will want to test their effectiveness. For those already in the Internet marketing industry you may already know about this. But for those just getting their feet wet, this article is a very extensive resource. Summary: A great checklist to download. Make sure you don’t overlook anything in your design. 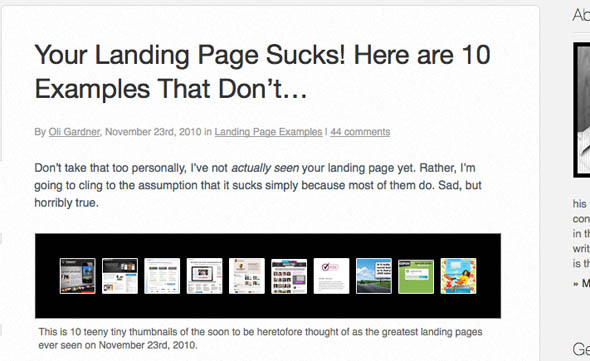 Summary: A little landing page inspiration from the geniuses over at Unbounce. I hope this list of valuable resources helps you with your next web design. And if you enjoyed this list, please share it!